The biggest news emanating from Tiger Woods’ press conference ahead of the 2019 Masters had nothing to do with the man himself. By all accounts, his life and game are in a good spot, and by all accounts, the 14-time major champ seems pretty happy with things. Instead, the real headliner from the press conference was Tiger Woods’ shirt logo. It was there for all to see: A cartoon logo of Frank, Tiger’s longtime headcover, on the left breast of his shirt. The logo is reportedly part of a marketing campaign for its new custom logoed golf shirts. The company teased the news during the press conference on its Nike Golf Instagram account, which offered a closer look at the delightful logo. 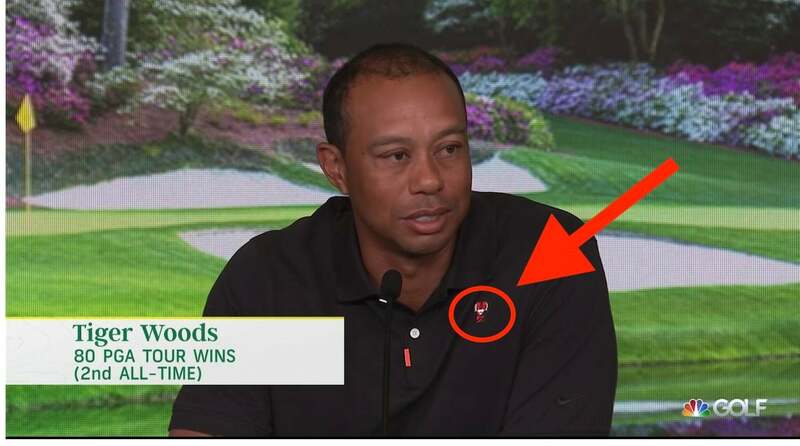 Tiger himself brushed off a question about the new logo, not offering much detail, but eagle-eyed golf fans immediately spotted Tiger Woods‘ new shirt logo and took to social media to rave about it.